Swedish police have arrested a man in connection with Friday’s truck attack in Stockholm, which killed four people and injured 15. The suspect is believed to be the driver of the truck, according to a police spokesman. The man, who was detained on Friday in a Stockholm suburb, was subsequently arrested on suspicion of a terrorism-related crime, according to Swedish police. “The person in question has been arrested as the culprit… in this case the driver,” Reuters quoted police spokesman Lars Bystrom as saying. Police did not confirm earlier reports that there were two people arrested in the aftermath of the attack. Only one person was detained and subsequently arrested, while a number of people were questioned in connection with the incident, Swedish media quoted police spokesperson Mats Eriksson as saying. Karin Rosander, press spokesperson at the local prosecutor’s office, told Reuters that they have "the strongest degree of suspicion" in regards to the two men’s complicity. A “bag of explosives” was uncovered in the truck wreckage, SVT reported, citing police sources. Police said that any further information will only be provided on their official web page. No details on suspects are expected to be released until Saturday. Earlier, the image of a wanted man was displayed at a joint press conference held by police and the Swedish intelligence agency (SAPO). The grainy image, taken from what appears to be CCTV footage, shows a man wearing a green hooded jacket over a T-shirt and dark trousers. The police chief said the image was taken close to the time of the incident in the same vicinity. — Polisen nationellt (@Polisen_Sverige) 7 апреля 2017 г. 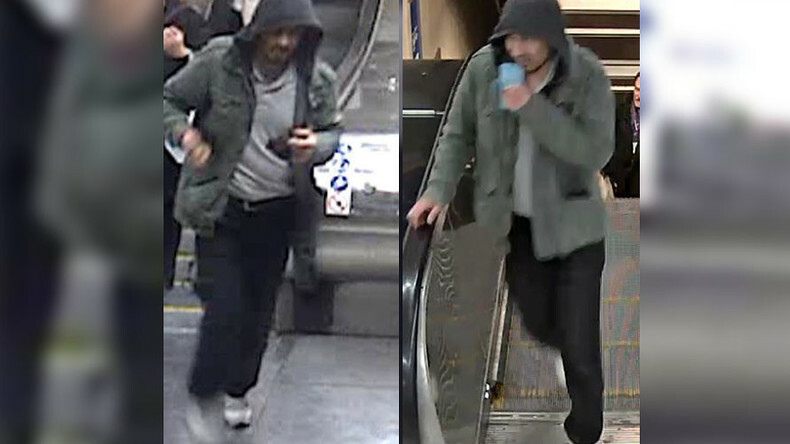 While no official information has been released regarding either the identity or possible motives of the suspect, the person arrested was reported by Aftonbladet to be a man of a foreign origin. The report did not specify how long the man has lived in Sweden. Without disclosing his name, the outlet alleged that the suspect was an Islamic State supporter, citing the terrorist propaganda materials he allegedly posted on Facebook. Earlier reports suggested that the hunt for the truck driver was still under way, and police did not rule out more suspects in the attack, Stockholm Chief of Police Jan Evesson said, as cited by SVT. The attack took place in Drottninggatan, one of the city’s main pedestrian areas. The truck ploughed through crowds of people before crashing into a department store. 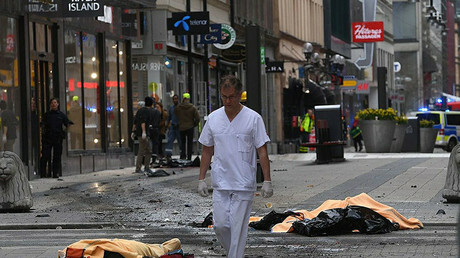 Prime Minister Stefan Lofven said the attack appeared to be an act of terrorism.